Interested in hearing about SFBACC events? Join our mailing list! Anyone got a couple of used brooms for sale? The San Francisco Bay Area Curling Club is building our own curling center in Oakland set to open in 2019. Our affiliation with Oakland Ice Center has ended. 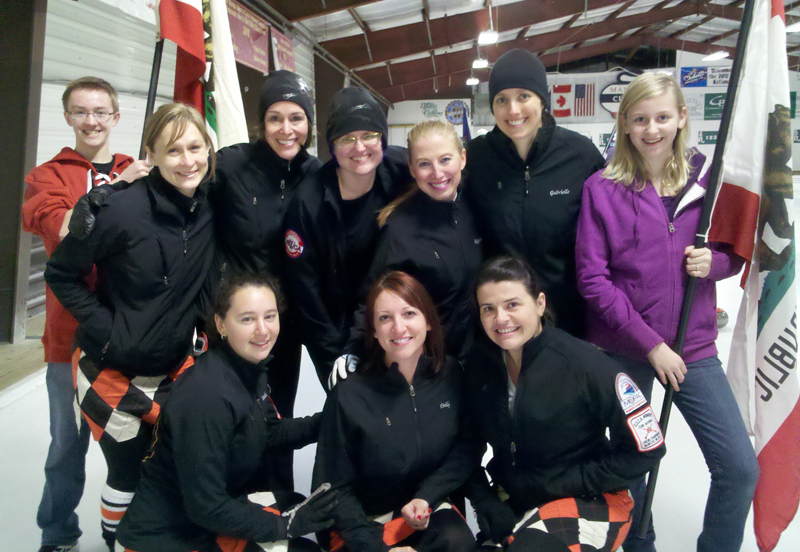 Join our mailing list to be notified when new Intro-to-Curling Clinics are announced and leagues are forming. The *(starred) events are/may be World Championships and/or Olympics track events. Teams may have to qualify through local and regional playdowns. Playdowns is the curling term for playoffs. The process varies a bit from event to event but often consists of a round robin or double knock-out tournament. The SFBACC Competitive Curling Committee determines the SFBACC's internal playdown procedures and advocates for its preferences for regional playdown procedures within MoPac. Contact theCompetitive Curling Coordinator to get involved. For more tips on getting started in competitive curling, click here. The SFBACC had two women's teams qualify for the US Club National Championships in 2012.